Plugin allow users pay Premium, Move to Top, Highlight and Pay Publication on the classified website. Osclass Skrill plugin allows you to work with Skrill Quick Checkout. 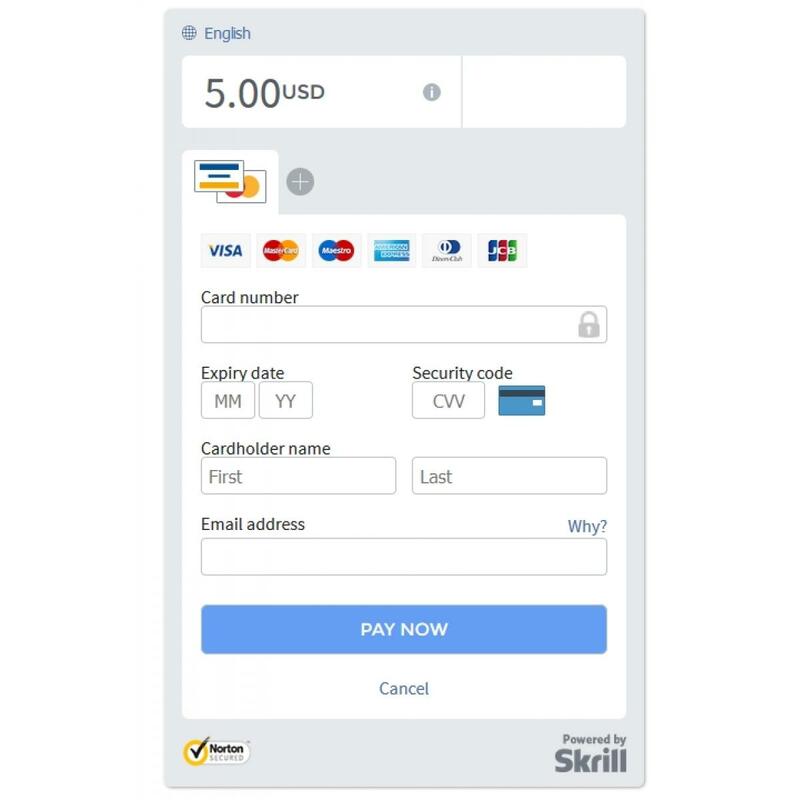 Skrill Quick Checkout includes card payments VISA, Master Card, Maestro, American Express, JCB and other. 1. Plugin is translated only to English, Spanish, Portuguese(Brazil), Portuguese(Portuguese), Italian. 3. You may need to sign up for third party services as Skrill in order to configure the plugin.